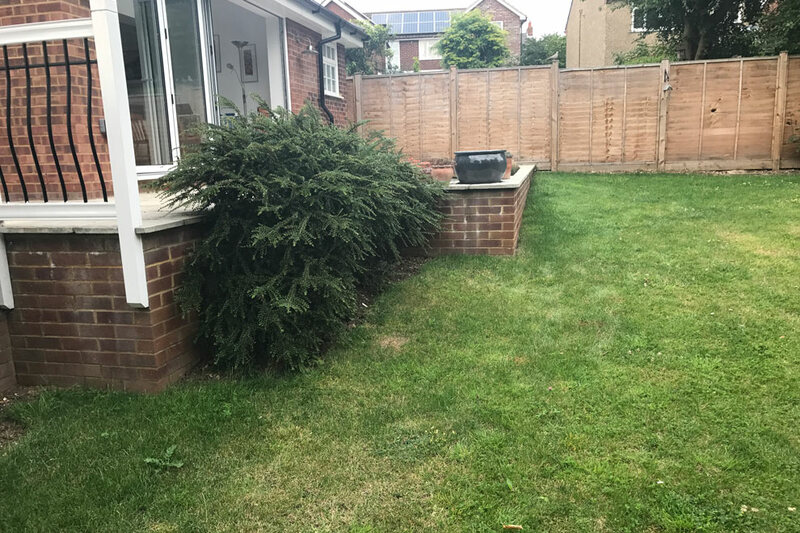 This garden was a boring space mainly laid to lawn with an existing patio and some old shrubs. 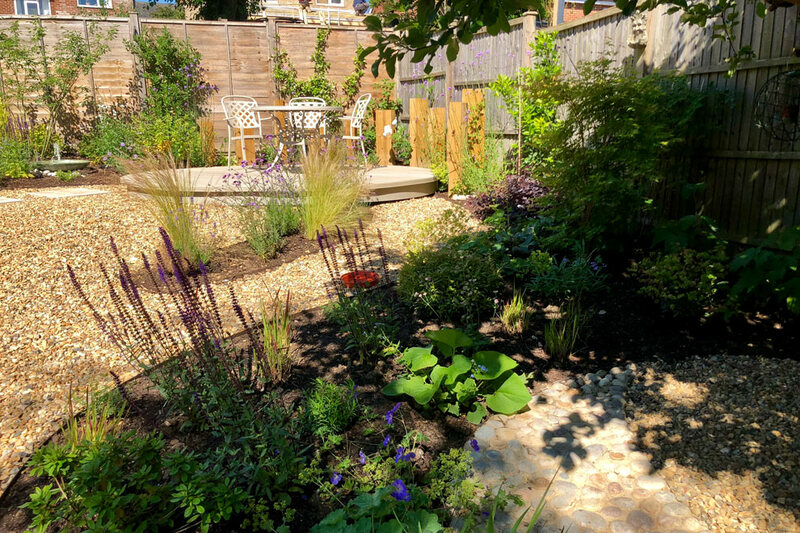 Our clients wanted to rejuvenate their garden space and create a wildlife friendly environment to encourage birds, bees and other wildlife into the garden. The patio was to remain as existing but we built some steps down into the garden and all the lawn was removed. A circular deck, constructed from composite decking provided a seating area with a view over the garden. Shingle paths led down the garden and around the existing apple tree where a tree seat is to be positioned in time. 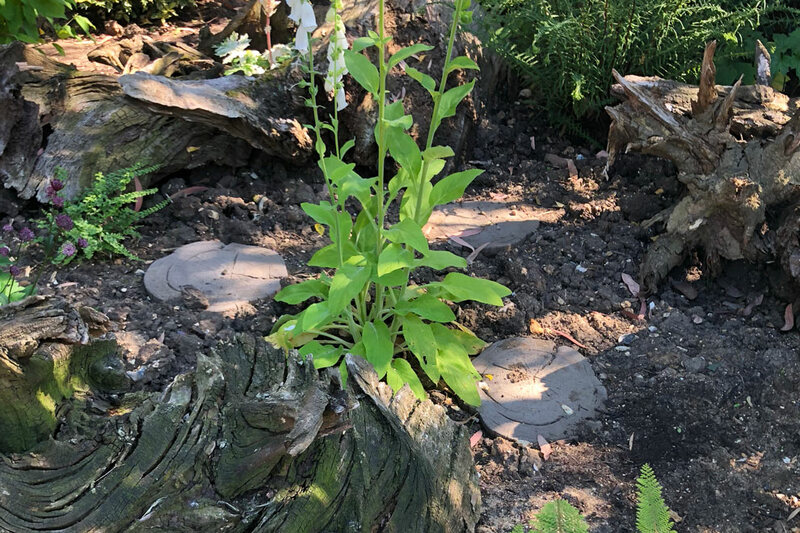 A ‘stumpery garden’ has been created from old tree stumps as a place for ferns and other shade loving plants, which creates a unique environment for many wildlife creatures. On the other side of the path we have laid Wildflower turf, which again encourages butterflies and bees into the garden. 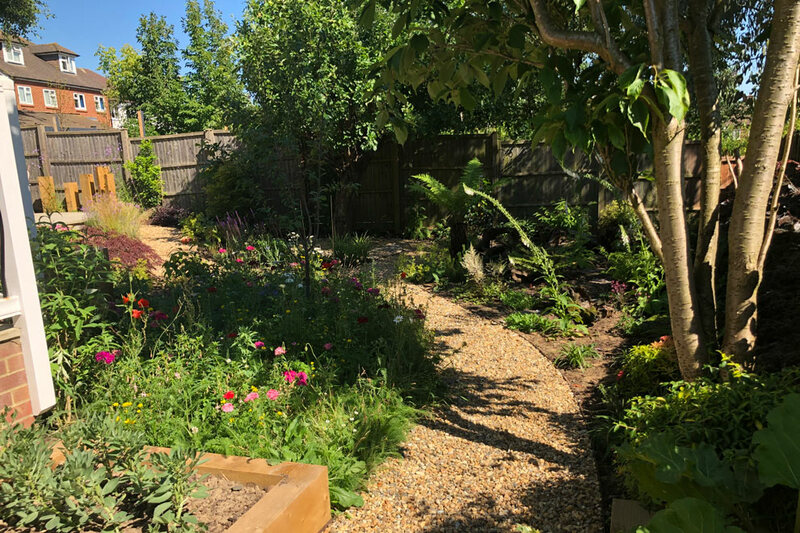 Vegetable beds have been constructed from railway sleepers, which have also been used to construct a raised bed in front of the patio to provide safety and add planting interest from the house. 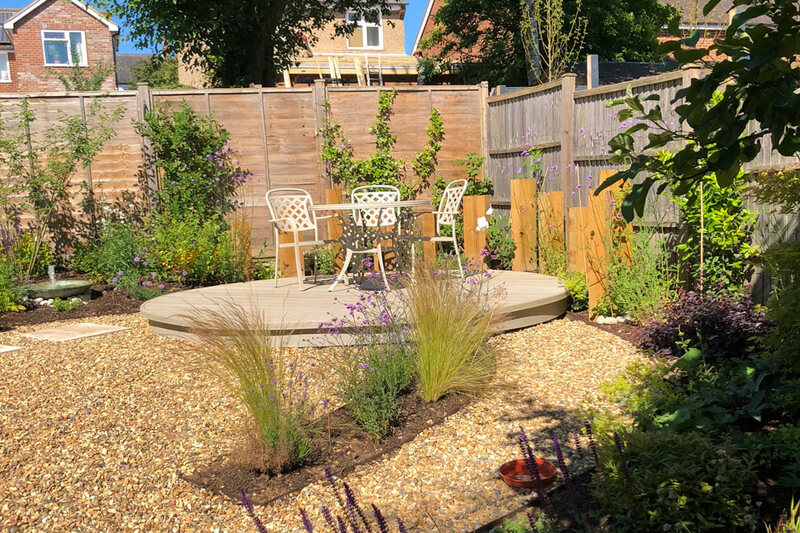 Additional planting around the garden provides year round interest and a small water feature at ground level lets small animals drink. 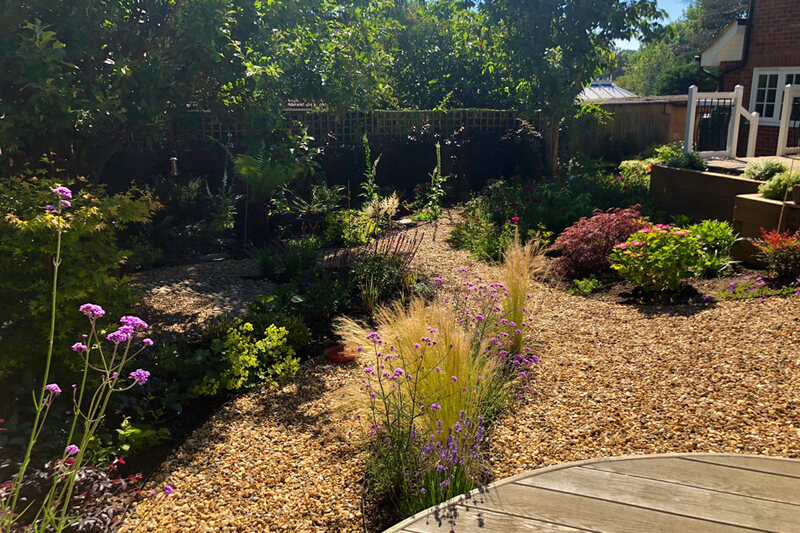 The whole garden is a haven for wildlife and our clients absolutely love it.